Stevenage assistant manager Kevin Watson says he was delighted by new signing Michael Tonge's performance in the 1-1 draw at Portsmouth. 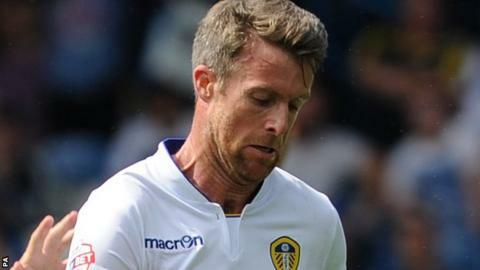 The 32 year-old, who was released by Leeds United in May, played a full 90 minutes as Brett Williams' stoppage-time equaliser earned a point for Boro. "That is how you play football. He's obviously played at a higher level," Watson told BBC Three Counties Radio. "He's getting on a bit, but his knowledge of the game was first-class." Boro remain five points clear of the League Two relegation zone after the result at Fratton Park extended their unbeaten run to three games, ahead of Saturday's trip to Northampton Town. Watson, who joined the Hertfordshire club in May along with manager Teddy Sheringham, believes they were good value for their point against the 2008 FA Cup winners. "That's more like it. We've had three very good results now and we've got to build on that now," he added..
"We've come to a team who play in front of 15,000 people and done terrifically well. I think we'd even have been proud of them if we'd left with a 1-0 defeat."